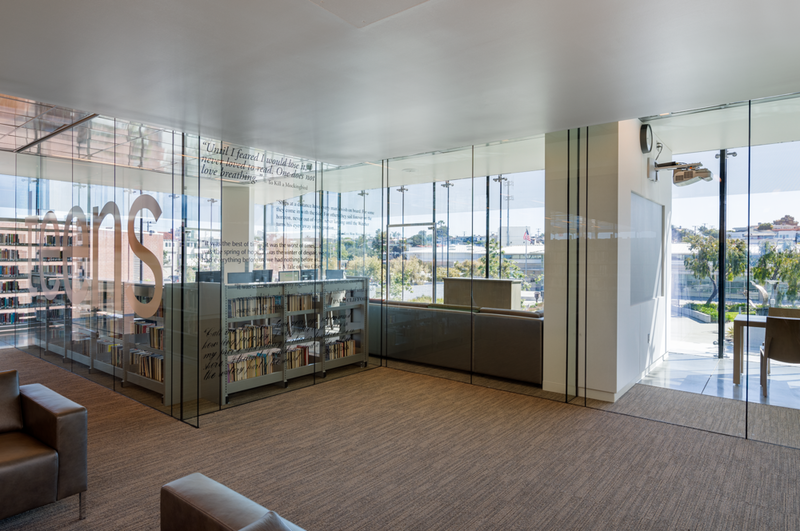 The new two-story library has replaced the previous one-story facility at twice the size and still the library site as whole occupies now less space within the civic center. 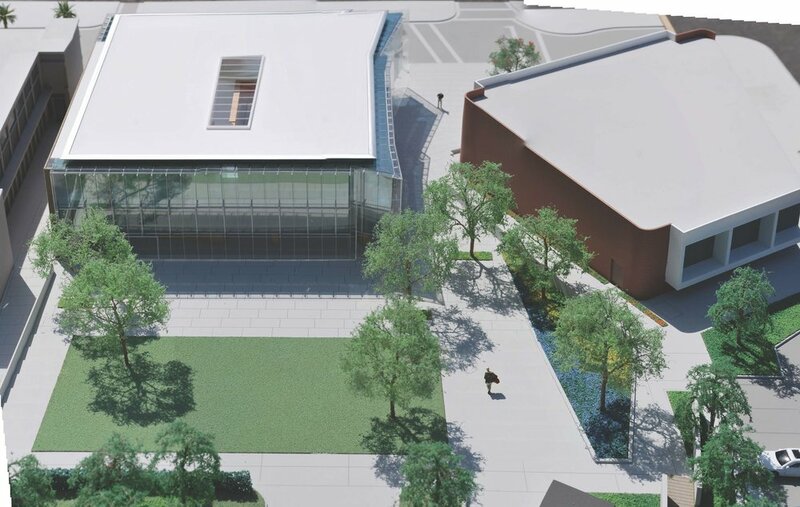 With compact development of the library new open space (grass and trees) was created at the heart of the civic center. 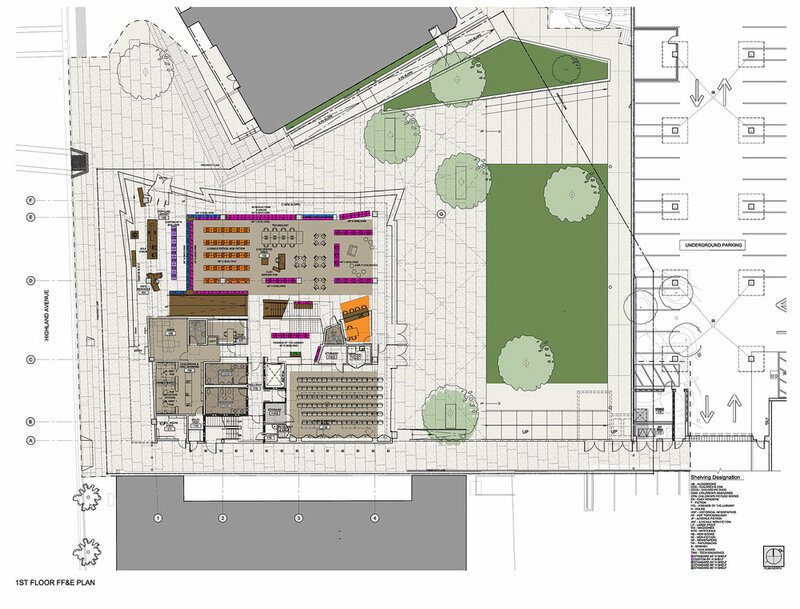 This space features a gentle slope to create a modest amphitheater for outdoor community performances and events of all kinds. 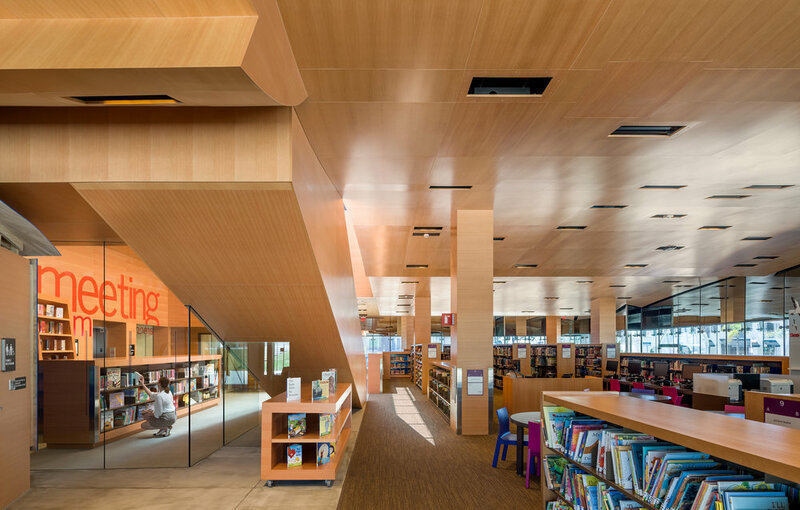 The new library includes a dedicated children's library, teen center, and community meeting room, as well as sections for adult collections, reading areas, and public access technology. 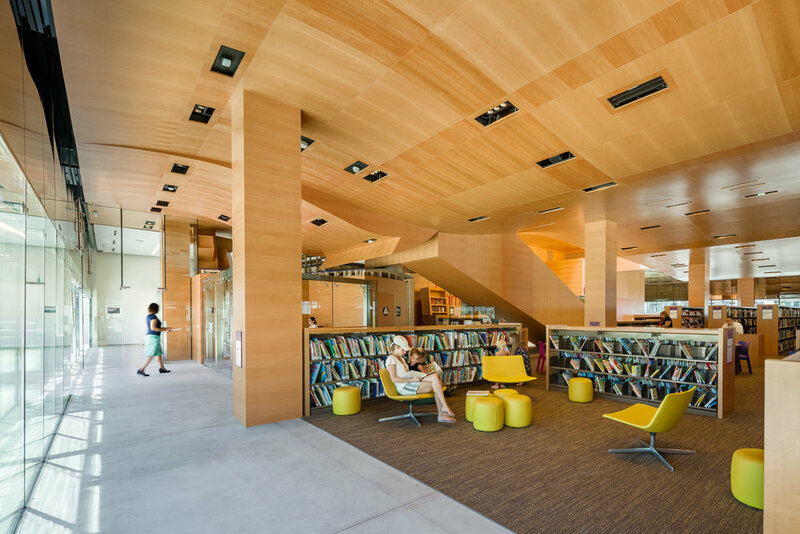 A key component of the ground floor is the children’s library. 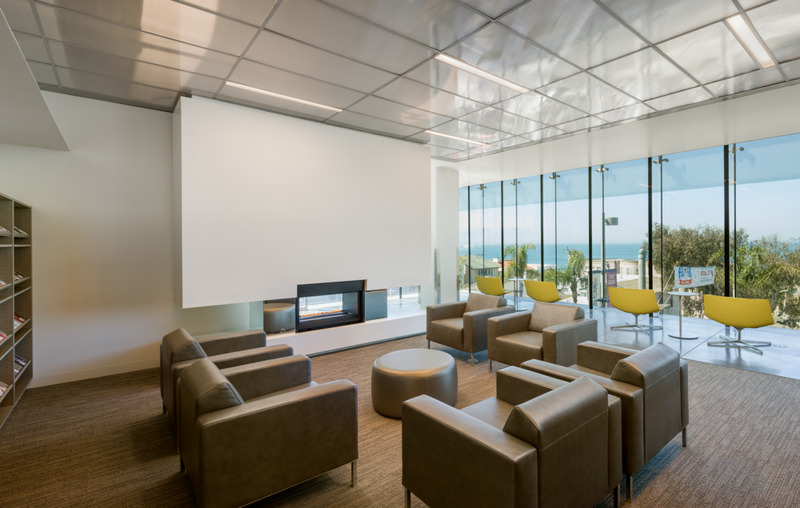 On the second floor, dramatic views of the Pacific Ocean are afforded with a sweeping panorama from Malibu to Palos Verdes, and Catalina Island to the south. 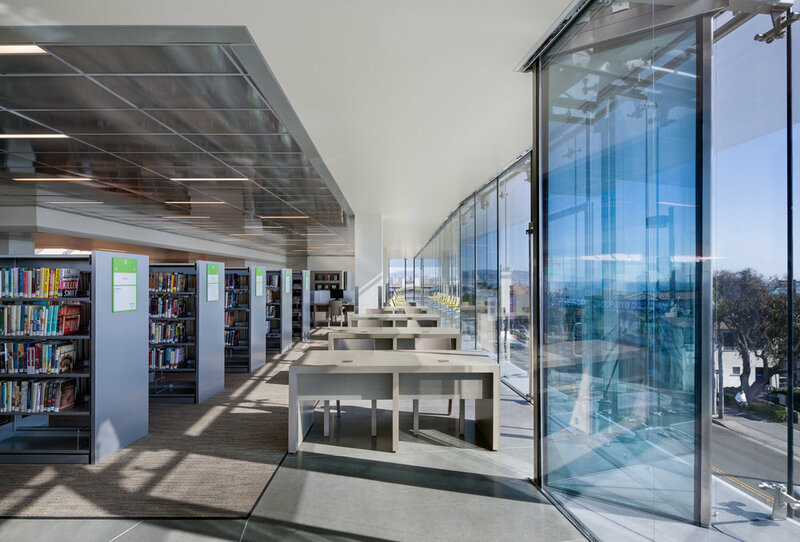 Designed and built with LEED GOLD certification the exterior envelope features a double glass wall separated by an air space that functions as insulation and return air plenum for the mechanical systems. 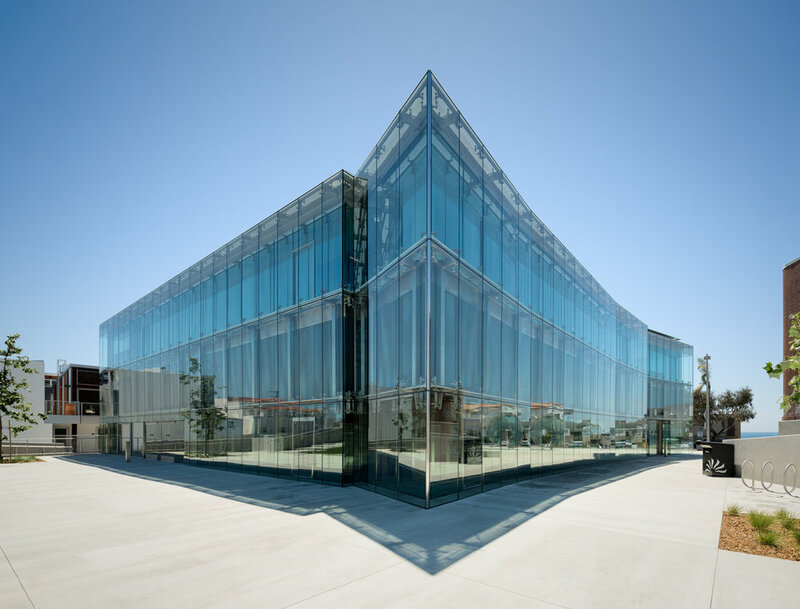 The transparency of the building situates the building in the microclimate of the coast where the ocean and moisture in the air affects changing qualities of light throughout the days and seasons.